Newfoundland and Labrador announced five new recreational cannabis stores, bringing to 29 the total number of sales points in the province. Ontario-based Canopy Growth won two licenses, and local player Oceanic Releaf received three. 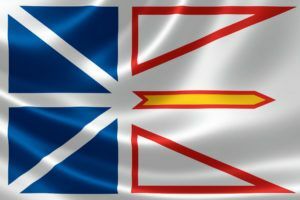 Newfoundland is expected to announce at least one more round of retail licenses ahead of the first legal sales on Oct. 17, according to industry sources. Taylor Giovannini, founder and CEO of Oceanic Releaf, told Marijuana Business Daily she’s looking forward to competing against corporate heavyweights like the Loblaw supermarket chain. Oceanic has signed a strategic binding letter of intent with Hiku Brands. That includes Hiku taking a 25% position in Oceanic. A supply agreement of recreational cannabis products will be completed upon the execution of the deal. Oceanic’s three Tier-1 licenses allow Giovannini to operate stand-alone stores. Winners of Tier-1 licenses will also have the opportunity to eventually open so-called “flagship” stores, which would give them the right to sell only their products. Oceanic Releaf is a cultivation applicant. The province is the only place east of Manitoba where privately owned businesses will be allowed to sell recreational cannabis. But prospective retailers face a major hurdle: They’re restricted to an 8% markup. Experts say being vertically integrated will be essential for the survival of Tier-1 retailers in the province, because those businesses can trim costs from other parts of the supply chain. Licensees of Tier 2, 3 and 4 shops, meanwhile, will be able to supplement low-margin recreational marijuana with sales of non-cannabis-related products and services.